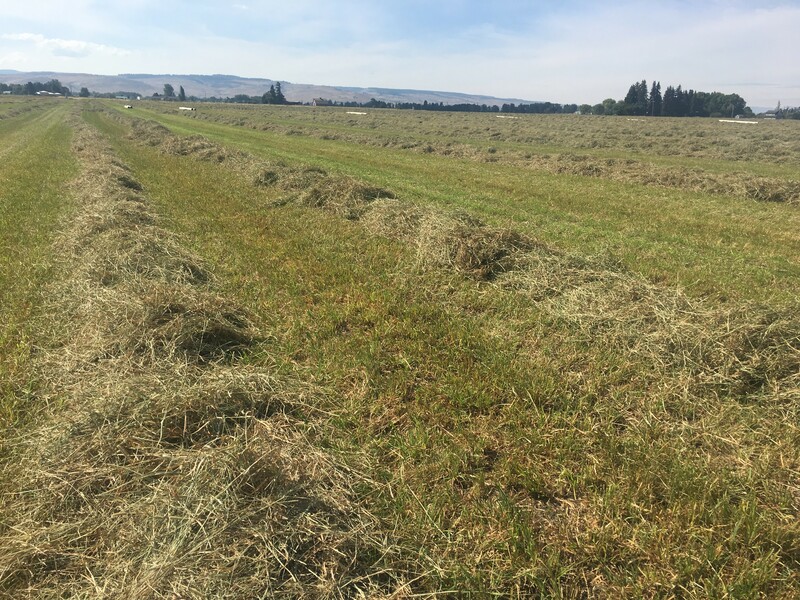 Fourth cutting has begun for a few growers in Washington State, and with favorable weather over the next couple of weeks we are expecting good quality. Quality from 3rd cutting was mixed; a small amount of higher grades was put up due to haze and loss of color. We are seeing good opportunity on some stacks that have tested well despite the loss of color from extended curing times. In Oregon, growers in Klamath Falls are nearly done with 3rd cutting while higher elevations like Christmas Valley are expected to start next week. Much of what has been cut in Klamath Falls has been baled, and there is a wide range of quality from this region. Water will be turned off this week in New Mexico in preparation for 4the cutting, which will begin in approximately 10 days. In Arizona, 7th cutting wrapped up and growers are preparing to start 8th cutting in the next 3-5 days. Temperatures are beginning to increase, and we are still seeing mostly HCE from this region with a small amount of #1. Second cutting continues in Washington State and about 85% percent of fields have been cut in both the Kittitas Valley and Columbia Basin. Color looks good on stacks that were cut earlier, prior to high level haze that extended curing time. Normal curing conditions have brought good quality and color to the end of 2nd cutting.